Rafa: Back Where He Belongs? Where Rafa once belonged—is he about to get back? It has taken three years for Rafael Nadal to get back to the verge of where he once belonged. The Spaniard has won 14 Grand Slams, which is amazing, but the famed forehand broke down in the second half in 2014. His legs were incredibly sore, he couldn't run as much as he used to, and he was hurt — mentally and physically. Nadal has won pretty much everything in his career. He has won Roland Garros nine times, he has won Wimbledon three times, the Australian Open once, and the US Open once. Rafa has won over 50 titles on clay. Equally amazing he has 30 ATP Master titles, winning Indian Wells, Madrid, Rome, Canada, Cincinnati, and Monte Carlo 10 times. Rafa has been doing it for well over a decade. 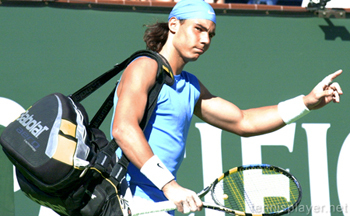 In 2005, he won 11 titles and the age of 19.